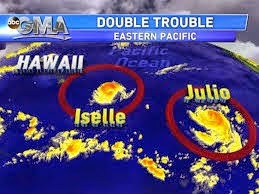 Most people would panic at the thought of an approaching hurricane, moreso if there are two successive ones! It seems that you guys missed the brunt of the storm, which is good news. Either way, preparing for a storm should always be a priority, just in case something takes a turn for the worst. Take care!